Polished concrete floors can last a lifetime if maintained properly because they can withstand wear and tear through the densification and polishing process. But as durable as they come, these floors will eventually lose their sparkle if you fail to maintain it properly, especially if they are placed in high-traffic commercial or retail facilities. Generally, polished concrete floors are easier to maintain than other types of decorative concrete floors. However, some retail shops still make the mistake of thinking they are all too easy to maintain. 1. Use the mop effectively. Mopping is perhaps the easiest way to remove visible dirt off the floors. Remember to always use clean water and clean mops. More often than not, shop owners use one mop for everything. For example, if they’re in a coffee shop, they’ll mop from the kitchen out into the store with the one mop, dragging all the oils across the floor. 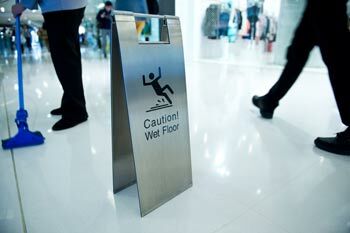 An oily floor is slippery and can lead to accidents among your staff or clients. Use separate mops for your kitchen and the rest of your store. It won’t be easy to remove oil and grit on your floors if you use only water. Instead, use a floor cleaner to suspend the dirt particles so they can be more easily removed. 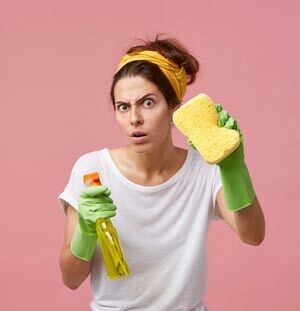 Clean a floor by applying the detergent with a broom, scrub it all in and then work from the furthest point, pulling it all back to the kitchen with the mop and picking it up. Better yet, invest in an automatic floor scrubber equipped with a nonabrasive pad to clean large square footage areas. Your mop and bucket cleaning can be used in smaller areas. Polished concrete is not like regular surfaces that can be washed with just about any type of detergent. It is a special kind of flooring, which means it also needs the right kind of cleaning solution that won’t breakdown the concrete particles. A lot of commercial detergents are acidic, which are not good for your floor if you want to maintain its durability and lustre. The acid can eat the sealant, which can slowly disintegrate your floor. Get a cleaning detergent that’s pH neutral, so it’s not acidic nor alkaline. 3. 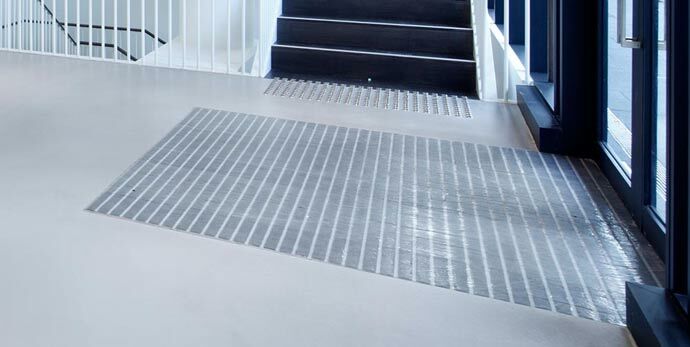 Use a recessed entry mat. This is a fairly simple trick to maintain polished concrete that a lot of shop owners miss. Mats are purely decorative, right? Wrong. In fact, walk-in mats can catch the grit that shoes carry into the shop. Grit on shoes will rub on to the concrete floors and start “sanding” it off. This can literally be as bad as rubbing sand paper across your floor. If it happens often enough, grit from shoes can damage the surface of the floor and cause scratches. The sealant can start disintegrating and which can expose the concrete. Water and other liquids can seep in and eventually damage the whole floor. Additionally, mats also absorb the wetness from shoes after being drenched in the rain. This significantly reduces the risk of customers slipping when inside your shop. Polished concrete is an amazing and durable flooring option for shops to have, however you must be careful to give it the proper maintenance to keep it looking fantastic. Additionally, we also give our clients an option to get their floors serviced regularly so they can be assured that their floors remain in top condition. If you are considering a new floor for your store or building or are thinking of doing a floor renovation, contact us today.